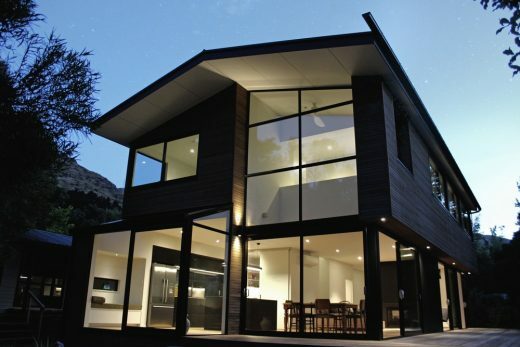 A modest family home nestled amongst the foothills of the Port Hills in Heathcote Valley, Christchurch. 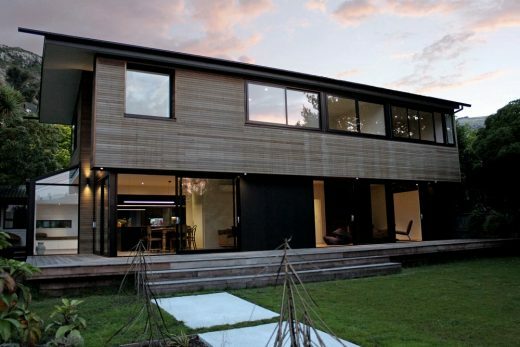 This project was a rebuild option for clients who were keen to stay within their community after the 2011 earthquakes. 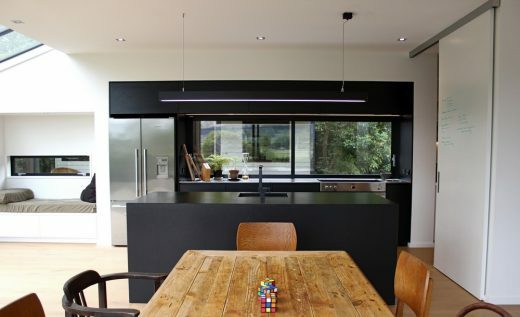 The house, like the section, is naturally orientated towards the valley and features a longitudinal stretch of windows offering magnificent views across the valley and an intimacy with the surrounding landscape. 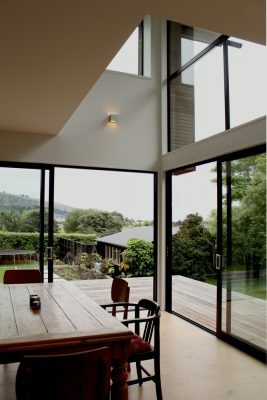 The band of sliding doors below opens onto an expansive deck – blurring the boundary between man-made house and the natural surroundings. 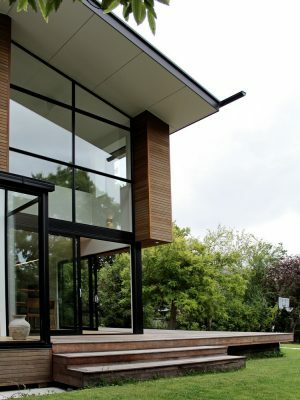 The northern ‘glass house’ end of the house sits under generous overhanging eaves giving an illusion of the house disappearing into the trees beyond. 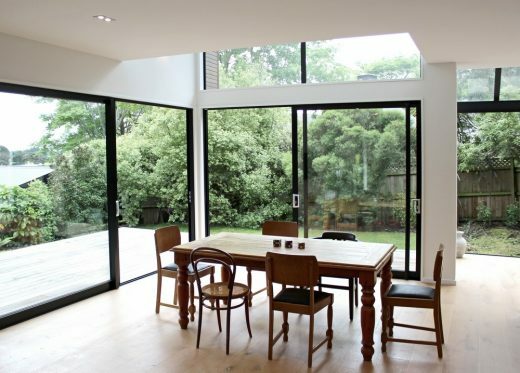 A double height space is located behind a portion of the ‘glass house’ allowing natural daylight to filter into the first floor common areas. 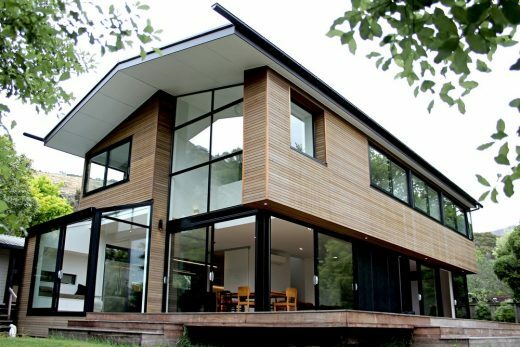 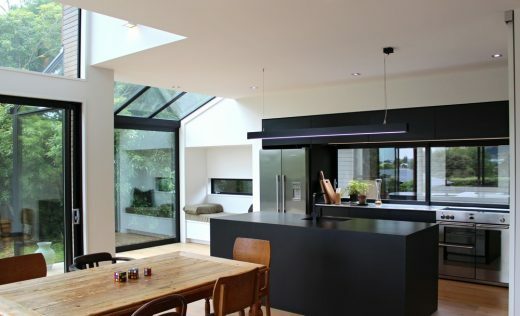 The house is a good example of what can be achieved on a modest budget and well thought-out economical design. 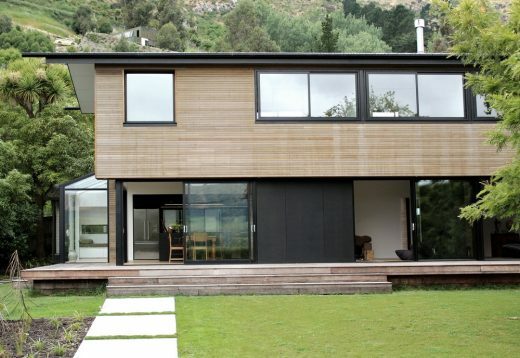 The brief was for a simple modest and economical family home, with excellent indoor-outdoor flow, open to the sun and providing natural ventilation, capturing the views to the valley and mountains beyond. 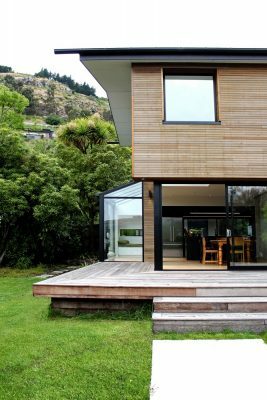 Some key challenges was the modest budget, as well as very difficult underlying ground conditions, which restricted the size and shape of the house.